Scarves add intrigue and spice to an outfit and are perfect on a cold, brisk day. There are so many fun ways to wrap a scarf, so ditch that dull wrap you always use, and experiment with some of these alternative options! The scarf in the bottom row is a wrap scarf, and the other two are infinity scarves. 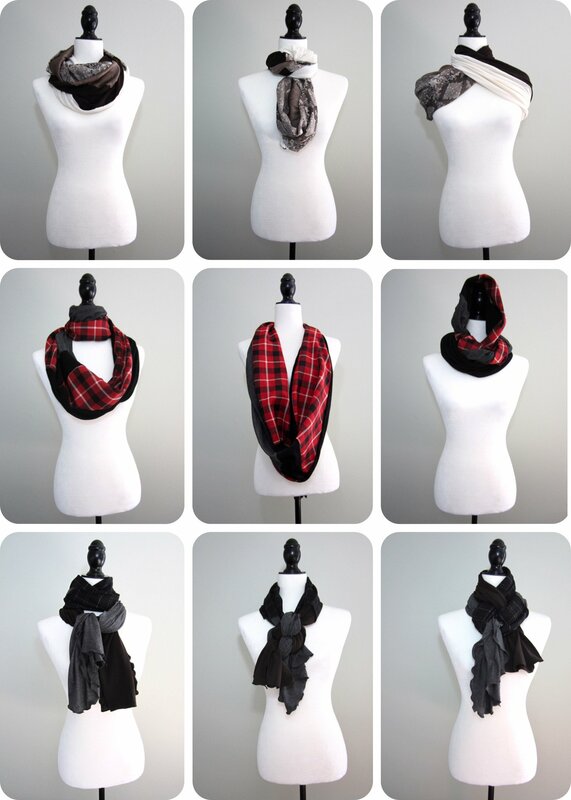 Regenerous Designs' scarves are the absolute best for flaunting unique wrapping styles!